Shida Bazyar was born in 1988 in Hermeskeil, Germany. She studied Literature and Cultural Journalism. 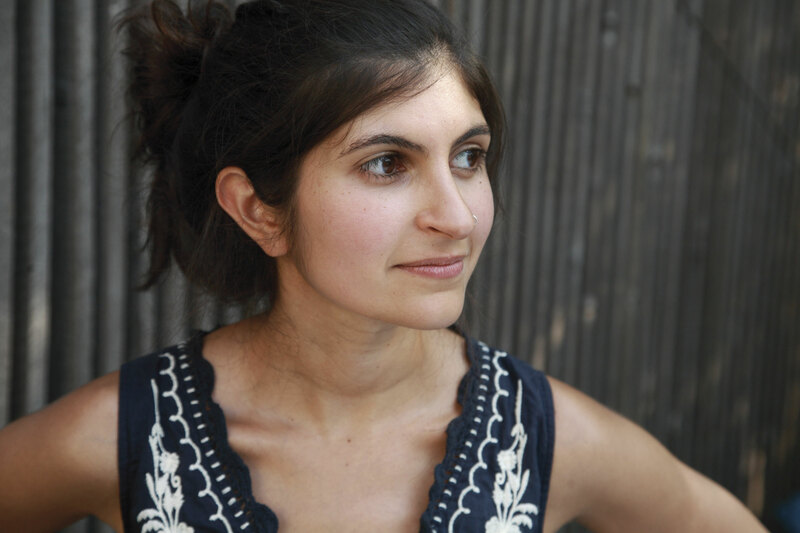 With her first novel The Nights are Quiet in Tehran, she won several German literary prizes. The novel begins in 1979, in Tehran with the fall of the Shah. It ends in Germany, 30 years later where a family went into exile. The Nights are Quiet in Tehran tells the story of four family members bouncing around between persecution, the Iran-Iraq war and the burns of exile. Without pathos, but with great finesse and empathy, Bazyar depicts exemplary life stories, and signs a novel that highlights the current challenges of integration. A dizzying first novel. Food will be provided by Gourmet Xpress, a non-profit social enterprise that provides catering services. Its mission is to reintegrate people with barriers to employment back into the labour market. Hosted by Luise von Flotow, Professor at the University of Ottawa’s School of Translation and Interpretation. Followed by a reading. In German with consecutive translation into French. Free admission.